WinZip 6.0 0 out of 5 based on 0 ratings. The most significant changes in WinZip 6.0 is the new Windows 95 support. 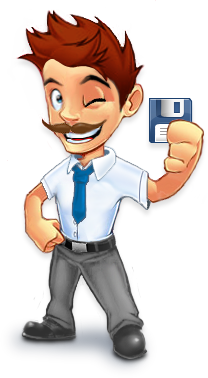 The File Manager Extension is now implemented under Windows 95, Windows/NT and Win32s. You will have to choose File Manager Configuration from the Options menu and check the second button to activate this feature. The File Manager Extension works the same as it does under Windows 3.1. WinZip now allows you to view multiple files in an archive without first closing the first file (earlier versions of WinZip restricted you to closing the first file before viewing the second file). Under Windows 95 the system "Quick View" program is normally used as the "Default Association" used to view to files not associated with another program. Here are some implementation details: when you double click on a file in an archive, WinZip extracts the file to the "Temp Directory" specified in the Options/Directories dialog box. WinZip then runs the program associated with the file so you can view the file. When you later close the archive WinZip deletes the temporary file(s). If the file(s) have been modified WinZip will give you an opportunity to update the archive with the modified file. The "Always on Top" flag is temporarily turned off if it is on when you view a file, and is turned back on the next time you activate WinZip. The WinZip installation procedure now includes "Express Setup" and "Custom Setup" options. Custom Setup results in the "old" WinZip 5.6 behavior. Express Setup, the default, skips the Program Locations dialog box, the File Manager Configuration dialog box, and "Create Program Group" prompt. With more and more people using the Internet, virus scanning is more important. As a result, WinZip's support for virus scanners has been improved. The virus scanner parameters field now supports two new special values: %d represents the directory containing the files to be scanned (without a trailing *. *), and %f represents a temporary "report" file. %wscan is a special parameter that should be used only for McAfee's WSCAN 2.14 and compatible scanners. WinZip now searches for and supplies default parameters four additional scanners: wscan, f-prot, tbscan, and wfindvir. The "Run as Iconized DOS Session If Possible" checkbox has been replaced with the "Run Minimized" checkbox, which is now used for both DOS and Windows scanners. The number one new support problem in WinZip 5.6 was caused by the "TAR File LF to CR/LF Conversion". This option, intended for text files only, caused problems for binary files. The option has been replaced by the "TAR File Smart CR/LF Conversion" option. When this option is in effect WinZip determines whether to perform CR/LF conversion for each file by looking at the first 80 characters in the file. If the file is a text file then single LF and CR characters are converted to CR/LF pairs so the file can be viewed by Notepad and other Windows viewers. Text files are considered files where the first 80 bytes contain only characters with ascii values between 0x20 and 0x7f, carriage returns, line feeds, form feeds, tabs, and other alphanumeric characters (as determined by the Windows IsCharAlphaNumeric API).